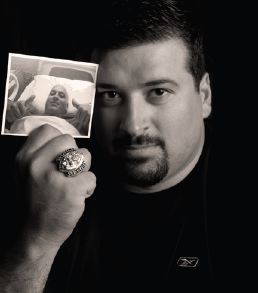 I take great pleasure in welcoming you to the first Joe Andruzzi Foundation newsletter. This will be an opportunity for us to share with you stories from some of the patients we visit, event updates and other interesting topics. It’s been two years since we officially started as a non-profit organization. We’re so proud of all that has happened. For current information on events, how to get involved or how to contribute, we encourage you to visit our newly created website at www.joeandruzzifoundation.org.